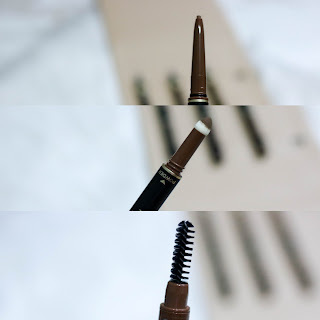 Have you ever wondered how I achieve my arched bushy eyebrows? For today's blogpost, I'm filling you in on my secret. The ONLY product I use is K-Palette! When I find a product that works, I stick to it. Just like in a relationship, when you've found the right person, you don't go looking for anyone else. It's called loyalty, people! Kidding aside. 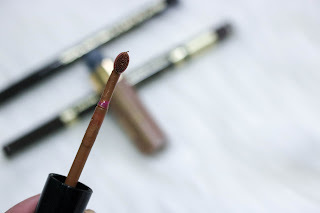 My hunt for the perfect eyebrow pencil took years. I tried and tested many other brands. There were some good ones but I knew I could still find better. 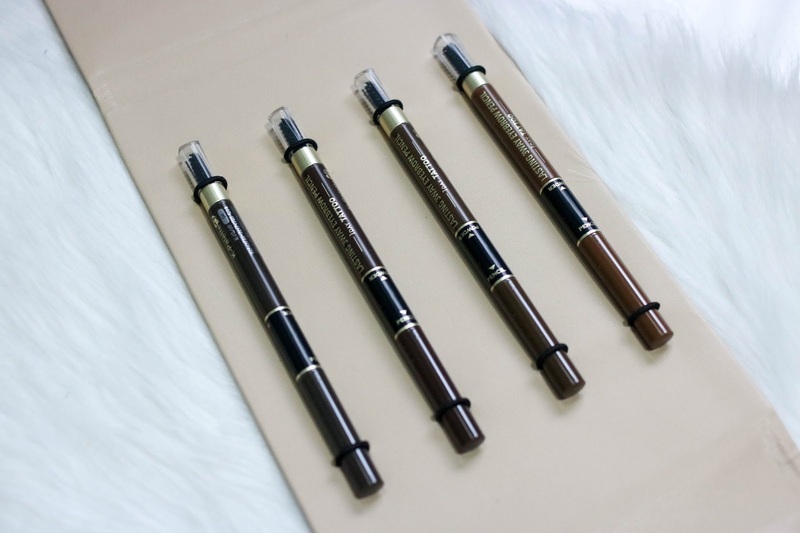 When I went to Japan last year, I picked up my very first K-Palette Real Lasting Liquid Pen in the Department Store and ever since then, I've been using it daily. What made my decision final? I based it on three criteria (1) Application (2) Longevity and (3) Color. 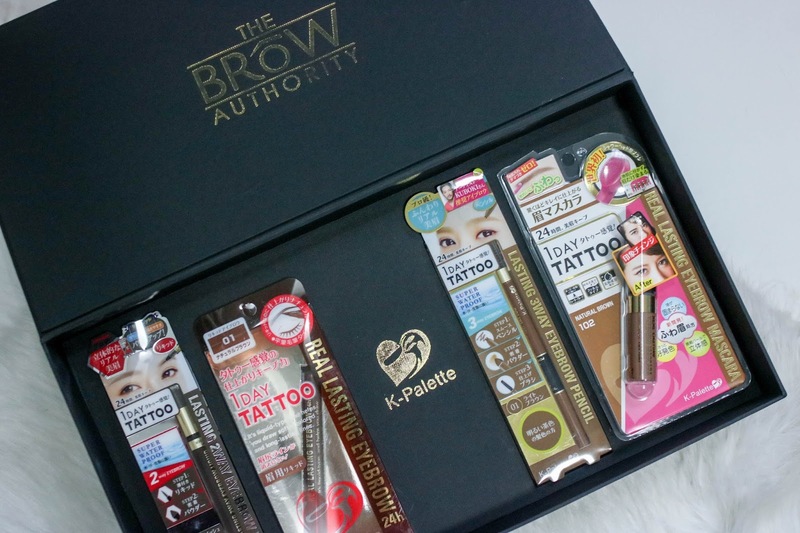 I'm not a good drawer which is why I find it difficult to line my brows but the applicator tip of K-Palette products are so easy to use that it looks like a pro did it. With one stroke, it turns out superb. No one wants to go through the hassle of retouching especially when you're a lazy girl like me. I'm all for convenience. I put it on in the morning then I'm good to go for the rest of the day. When choosing what color to use for your eyebrows, you NEED to match it with your hair color. In my case, it's harder because I constantly change my hair color. 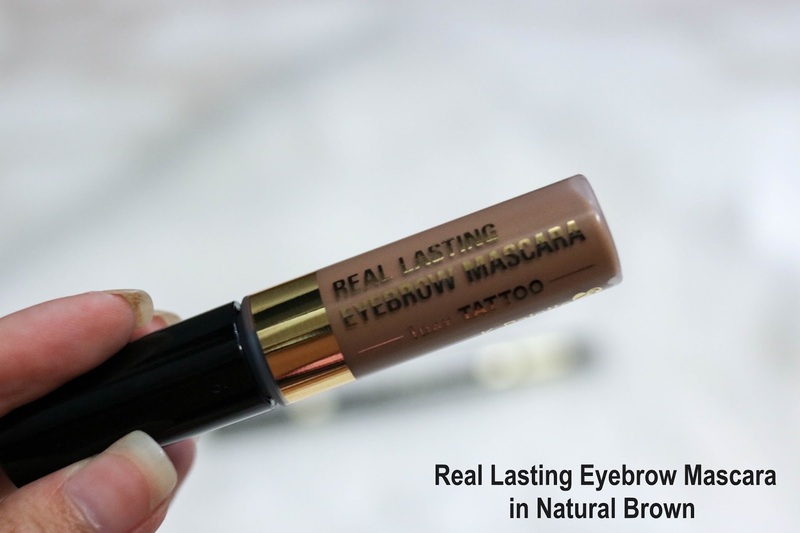 For those of you who just want to groom your eyebrows, you can use the Real Lasting Eyebrow Mascara. It just adds a bit of color and it makes the hair on your eyebrow look neat. I usually wear this in the beach for a natural look or when I'm in a hurry and I have no time to properly line my eyebrows. 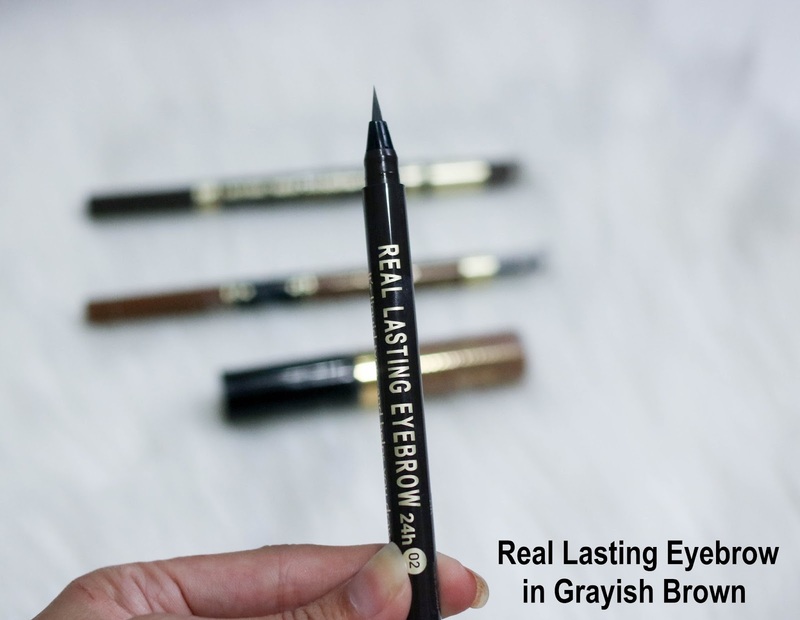 When I have more time, I line my eyebrows first with an eyeliner (for the outer corners of my eyebrows) then I use the eyebrow mascara to fill it in. 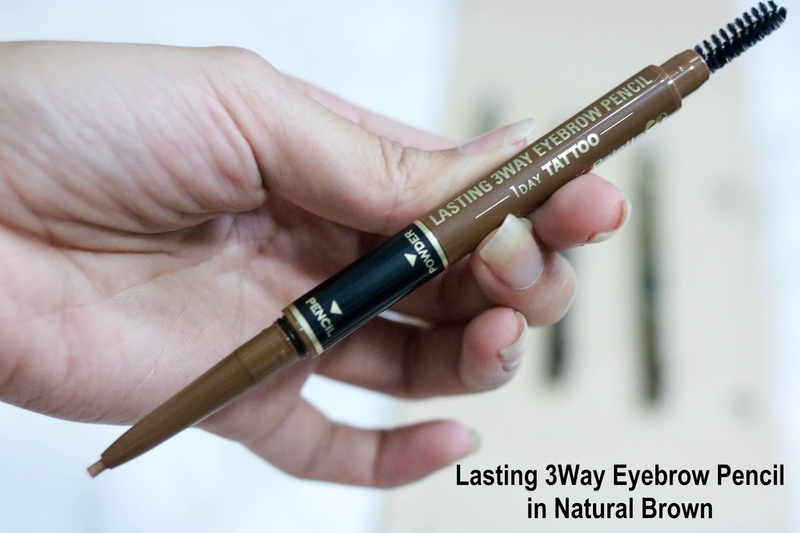 Ideal for those who are new to fixing your eyebrows! (2) Use the sponge tip to fill in your eyebrows. Eyebrow powder will come out. 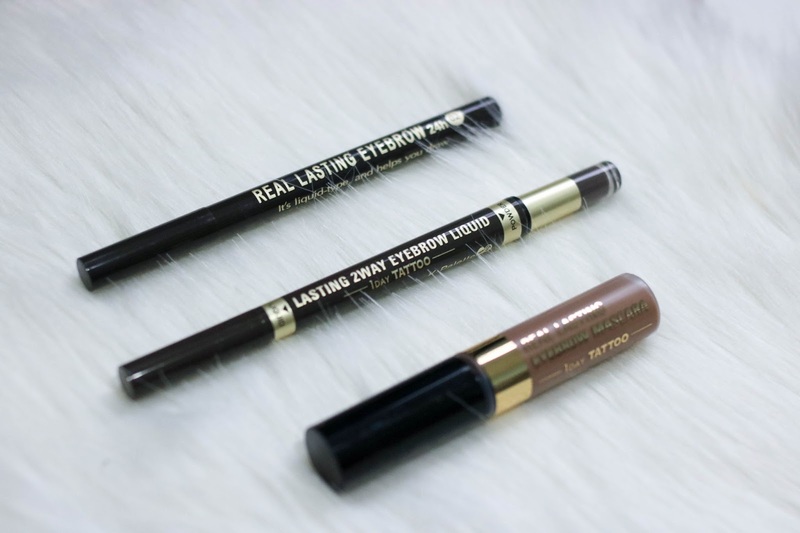 My favorite among the three would have to be the Real Lasting Eyebrow Liquid Pen. It's much darker compared to the first two so be careful with your strokes but in my opinion, it makes the most impact. You can really see your eyebrows defined and that's exactly how I like mine.